Yo! Time for a new Ask Sentai. Today we talk about production processes, favorite shows from past seasons, and food-gasms! How awesome is Luci Christian? Hearing comments from other people, she is quite the sweetheart. Originally you mentioned K-On season 1 would get a blu-ray release, do you know when that will be coming out? You guys have licensed Amagi Brilliant Park, which was not simulcasted during the season it was airing. This led me to wonder, do you guys have any influence on what shows get simulcasted? Also, how long before an anime season starts until you guys start to get a license for a show? No, we do not have any influence on what shows get simulcasted. These terms are already laid out beforehand. As for how long, it varies on a title by title basis. As in, we could acquire a title and announce it within a few days, or the process can be longer and we may have to announce it at another opportune time in the future. How long does it normally take for Sentai to release a series in the US after they gain the licensing rights? Does the show have to end before? What's the process for Sentai to decide if a show gets dubbed? Is that during the hiatus before the show gets a US release? It varies for every title, really. A number of different factors can affect a release date: arrival of materials from Japan, timetables for subtitling, ADR times and availability if we are dubbing it, whether or not it can fit in the release schedule, and a bunch of other things. Yes, the show has to end before the process can even start. what was your favorite anime last season? Yes we are beginning to look at past titles that warrant a box set of some sorts. Which is your favorite Little Busters Character? Gunna have to go with Kengo here! When will all those TBS shows that have not receive a Blu-ray treatment be released? I'm disappointed with this August releases and there are plenty of shows that has have yet to get a Blu-ray release. And holdback is not an excuse. "We recognize that many fans are disappointed when they can’t enjoy their favorite shows on their medium of choice for what sometimes is a very long time. As fans ourselves, we share that sentiment. It is no secret that nearly all licensed distributors as well as content providers are subject to holdbacks of some form or another. Please be assured that we continuously work with each of our content partners to bring programming to fans as early as possible. We will continue to do that every day. Your patience, support, encouragement and feedback are extremely important to us. We’re listening. As for the August programs without a specific Blu-ray release date, we don’t yet have those future dates fixed. We are actively working with our content partners to develop a schedule that gets those titles to you as quickly as we can. We can say with certainty that most, if not all, will get a Blu-ray release. We want our customers to enjoy our shows in whatever format they want. Some will choose to enjoy our programs through one of our digital outlets and some will choose DVD. We also understand that Blu-ray is a medium of choice for many of you. Our Blu-ray customers are, by circumstance, our most patient group and for that we are sincerely grateful." Just saw your announcement for Love, Chunibyo & Other Delusions - Heart Throb. Season One seemed like perfect casting! 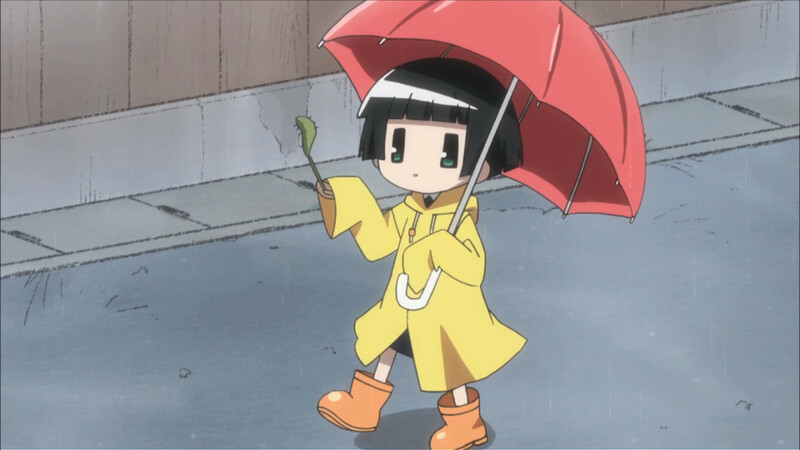 Will all the English voice cast be reprising their roles? When are you releasing Monthly Girl's Nozaki-kun? We are looking to add it to our release schedule soon, thank you! 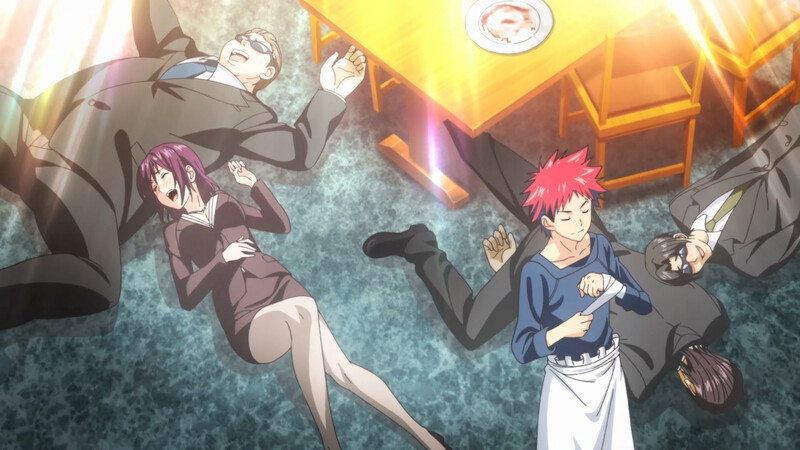 Ever had a food-gasm as intense as Food Wars? When are you going to announced the Three Spring Shows senpai ? That's it for this week, thanks for the questions, all! Next week we'll talk about who has the sexiest ahoge, don't miss it!